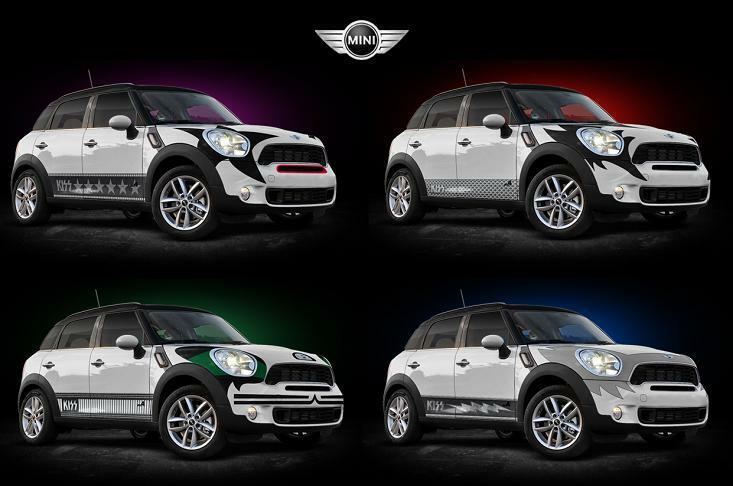 The English car company Mini Cooper has teamed up with the American rock band KISS to help Japan. The car company has painted four of their “Mini Countryman” cars with KISS make-up (one car for each of the original KISS members’ make-up) and they are currently being auctioned for charity via e-bay. The auction ends at 4:00PM on 2011 June 8 (PST in the U.S.) (which is 8:00AM 2011 June 9 in Japan), so now is your chance to bid if you want one (or more) of these cars. The current bid (when I wrote this post) is US$30,200 (about ¥2,421,834) for the cheapest one (the “Ace Frehley” design) and US$31,300 (about ¥2,510,047) for the most expensive (the “Gene Simmons” design). All proceeds from the auction of these cars will be donated to UNICEF to help the victims of the earthquake and tsunami in northern Japan, as well as victims of other disasters around the world. I’m a big fan of KISS, but some the merchandise they release is too “over the top” for my taste (ie: the “KISS Casket“). I can’t imagine myself driving around in one of those cars…but if I had to chose one—I think the “Gene Simmons / Demon” design is the best of the four. It is very generous of KISS and Mini-Cooper to do this to help people in need. How about you? What do you think of these cars?